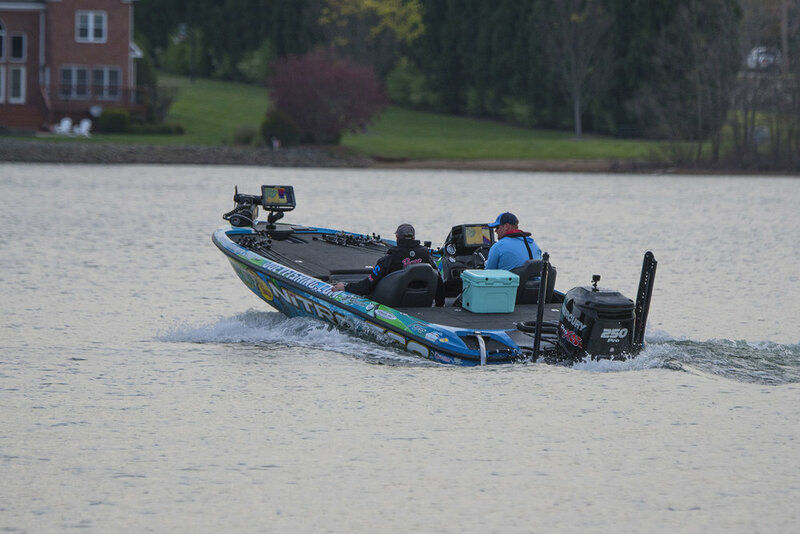 Miles travels to Lake Norman to visit five-time major tour winner, Bryan Thrift. 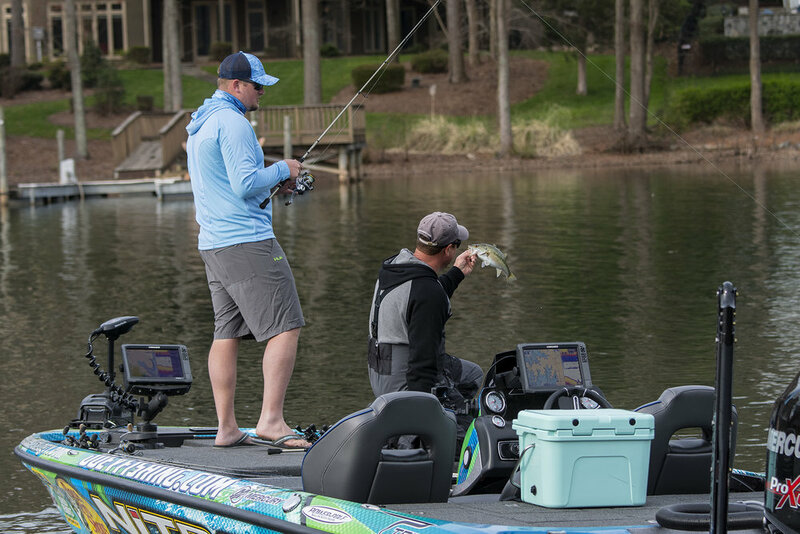 Bryan grew up in North Carolina, learning how to fish for bass on Lake Norman, and teaches Miles his tips and tricks to catching the biggest bass out there. One of the biggest lessons learned during Miles’s trip was figuring out fishing tactics during an assumed spawning time. The warm weather indicated that the bass may be in shallow waters for spawning, but a warm day doesn’t necessarily mean spawning season is taking place. 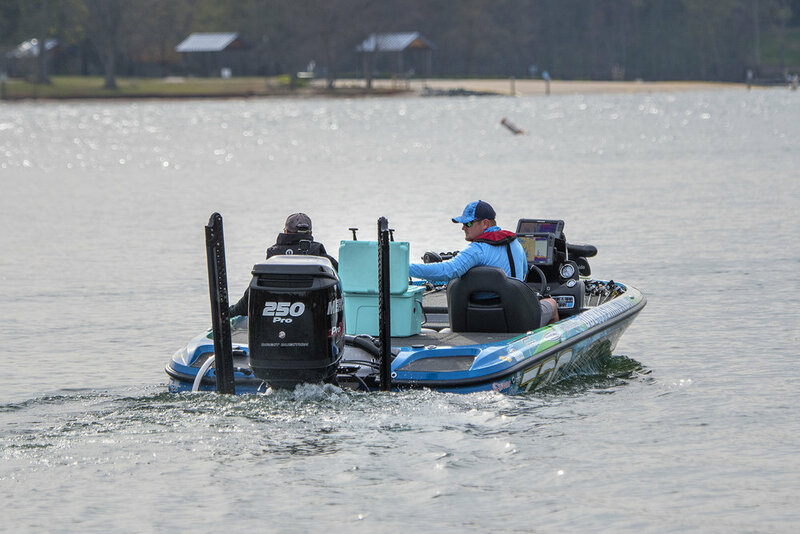 Changing strategies, Bryan and Miles begin to target deeper waters, about 10-15 feet, by the docks, and quickly saw an increase in their catches with spotted bass. 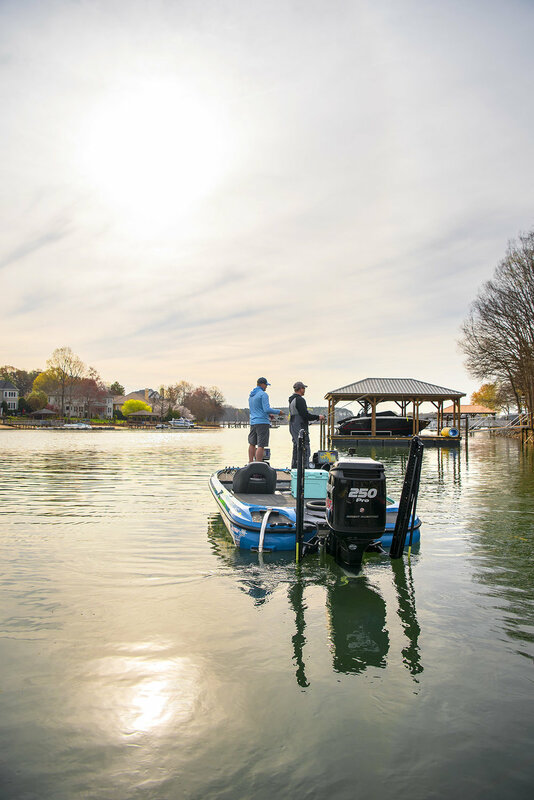 Ending the day, Miles feels confident in his upcoming tournament at Lake Norman, thanks to learning new fishing patterns and with help from Bryan.